The Victoria Hospitals Foundation Visions gala set a record total last night, raising $800,000 towards the purchase of 100 pieces of leading-edge equipment for Royal Jubilee and Victoria General hospitals. Held at the Fairmont Empress Hotel, the event hosted more than 270 of Victoria’s community leaders and healthcare professionals, raising funds through ticket sales, corporate sponsorships, a bear Raffle, Live and Silent Auctions, and a Pledge Drive. An exciting Live Auction that included the ultimate hockey package with a trip for two to Montreal to see the Canadiens play with a signed jersey and stick from Carey Price donated by a grateful patient and a ten day rafting adventure along the Tatshenshini River, rated the #1 river trip in the world in National Geographic’s “Journeys of a Lifetime” donated by Nahanni Wild True Wilderness Adventures. A pledge-drive that raised over $113,000 and included gifts that will enable the purchase of three patient monitors. Local businesses contributing to a Silent Auction with over $250,000 in value, which included pieces of aboriginal artwork, luxury travel, dining and spa packages. 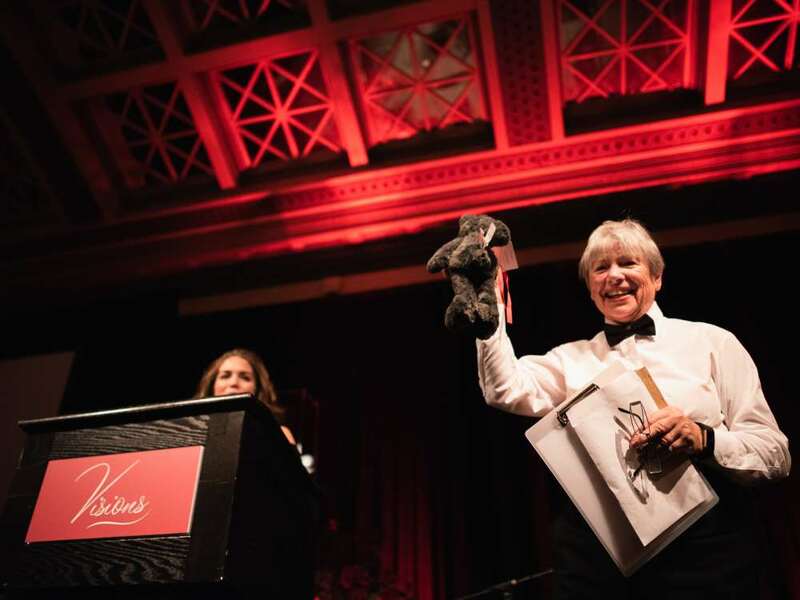 A sold-out Bear Raffle that gave guests an opportunity to win great prizes and donate their bears back to the pediatric unit at Victoria General Hospital. The You Are Vital campaign will continue through to March 2019 with the Foundation telling the stories of Island Health care teams and the patients they serve. Contributions can be made by donating online at www.victoriahf.ca, calling 250-519-1750 or mailing a donation to Wilson Block, 1952 Bay Street, Victoria BC, V8R 1J8. To learn more about the campaign and read stories from former patients please visit: www.victoriahf/vital.